Beatlemania is set to return to King's Heath on Sunday 15 February as King's Heath commemorates the 52nd anniversary of the first ever Beatles gig in Birmingham at the old Ritz Ballroom on York Road which was sadly destroyed by fire in 2013. From 3 p.m. to 6 p.m top local musicians will play their favourite Beatles songs in an acoustic session at Fletchers Bar on York Road directly opposite the former ballroom. 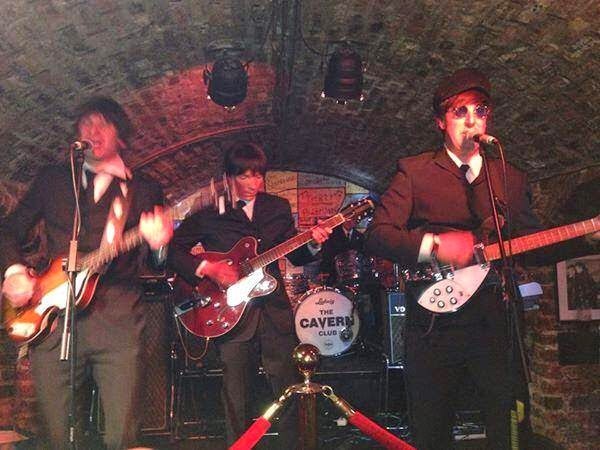 Doors will then open at 7 p.m at the Hare & Hounds for a Special Concert by top Midlands tribute band The Born Again Beatles who last year starred at Liverpool's Cavern Club where the Fab Four started out. Bob Prew and Ken Whittaker, joint co-ordinators of the King's Heath Walk of Fame, said, “This year's Beatles Fest in King's Heath will be the biggest and best so far. We would urge fans to buy tickets for both events straightaway as last year's Anniversary event sold out very quickly with fans travelling from as far away as Lancashire, Yorkshire and Somerset”. Advance tickets for the afternoon Acoustic Session cost just £3 and are available from the Kitchen Garden Cafe on York Road, King’s Heath or on-line for £3 plus a booking fee from www.wegottickets.com. Any remaining tickets will cost £4 on the door. Advance tickets for the evening concert by The Born Again Beatles cost £5 and are available from the Kitchen Garden Cafe or on-line for £5 plus a booking fee from www.hareandhoundskingsheath.co.uk . Below: The Born Again Beatles are all very experienced musicians having acted as support to Blur, Midge Ure and Wet,Wet,Wet. 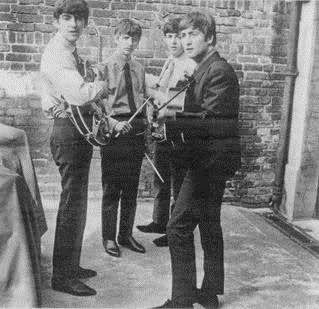 They regularly perform at clubs and theatres throughout the country and are shown here appearing at Liverpool's Cavern Club last year. Sounds good, and Fab fans can also see The Trembling Wilburys' first gig in Brum 2 days earlier on Friday 13th February at The Roadhouse - 2 sets + support, we're on at 9.30pm.